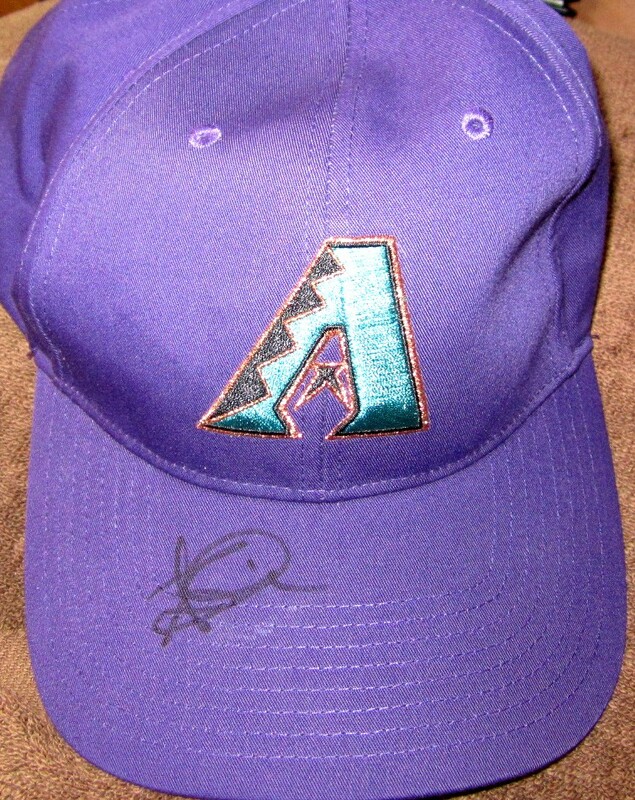 Arizona Diamondbacks cotton blend replica cap or hat autographed on the bill in black marker by former superstar outfielder Steve Finley. Obtained in person at celebrity golf tournament. With certificate of authenticity from AutographsForSale.com. ONLY 3 AVAILABLE FOR SALE.